Posted on March 31, 2013 by Wuensch Construction Inc. 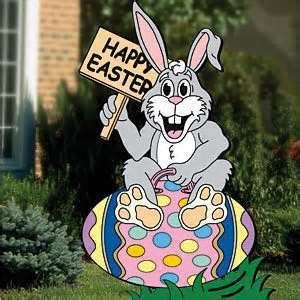 Happy Easter from all of us at Wuensch Construction. Posted on March 20, 2013 by Wuensch Construction Inc.
1) Ceiling repairs caused from ice damming – If you have minor brown or yellow staining on your ceiling from ice damming from the winter months follow these steps. Paint over the stained area with a lacquer stain sealer (regular paint will show the stain through or bleed threw) then repaint the entire ceiling. Call a professional to come out to diagnose the problem of ice damming and water leaking. 2) Look for shingle repairs – during the winter months, shingles might have blown off during a winter storm or a shingle could have been broken off during snow removal near the eves so follow these steps. Wait for a nice sunny spring day when all your snow is off your roof. Take a ladder only if you can do so safely and go on top of your roof to trouble shoot any spots that may need repair. If find any spots replace the shingle. If you do not want to get up on your roof, call a professional to inspect and repair your roof. 3) Windows – This is a good time to think about your old windows. If they are still a single pane windows think about replacing them with high efficient energy star windows before the air conditioning season starts to save money on your cooling bills. 4) Doors – If you have storm doors make sure they are in working condition. Check, your weather-stripping on your exterior doors to see if they are in good condition and if not replace it. 5) Caulking – Make sure all your windows, doors, siding and gaps are caulk to make a good sealed air barrier before this summer’s air conditioning season. 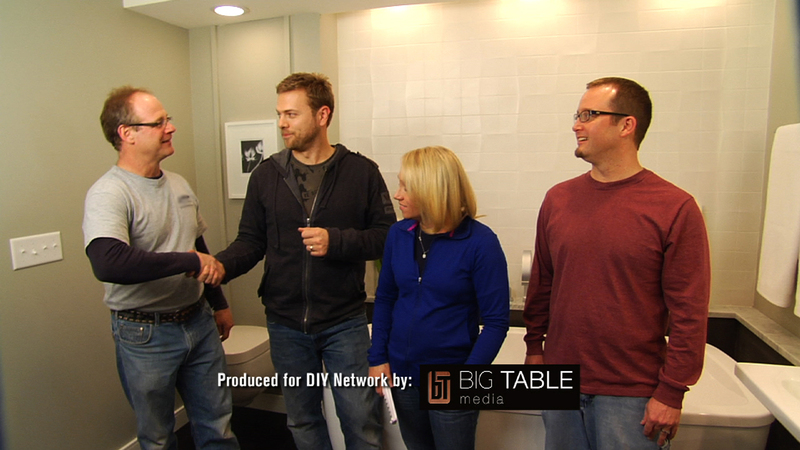 6) Eliminate water in your basement – keeping the basement dry is very important to stop the growth of mold. If you have a sump pump system, inspect it to make sure everything is working fine. If you do not have a system make sure, your yard grade slopes drains away from the house. If you have gutters and downspouts make sure that they not clogged with leaves or debris sometimes they become clogged up over the winter months and then in the spring they over flow and water pours in next to the foundation. 7) Service your furnace & air conditioner – Change your furnace filter before the cooling season starts it might have plug up with dust from the heating season. Check to make sure your outside coil on your condenser is free from dust and debris. If the coil is clogged, pressure spray it off with water using a water sprayer nozzle. Posted on March 17, 2013 by Wuensch Construction Inc. 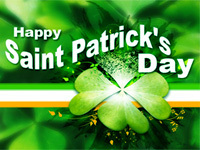 Happy Saint Patrick’s Day from all of us at Wuensch Construction. 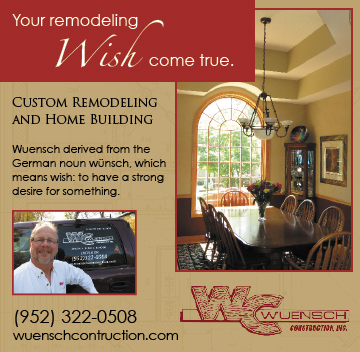 Posted on March 14, 2013 by Wuensch Construction Inc.
Wuensch Construction is a remodeling contractor, new home contractor based out of Excelsior Minnesota is a proud member of Excelsior – Lake Minnetonka Chamber Of Commerce. This St. Patrick’s Day weekend in Excelsior the chamber is presenting The First Annual “Luck O’ The Lake” 5K run on Saturday March 16th. The race begins at 9:am and there is a pre-registration fee of $25.00 and day of the race fee of $35.00. This event is benefitting Annual Chamber Programs and if you want more information about the race call Laura Hotvet the Chamber Director, at 952-474-6461. When you are in town don’t forget to shop at our local shops, bars and restaurants and if you ever need any remodeling projects done don’t forget to give us a call Wuensch Construction, your local remodeling contractor and new home contractor.